Star Wars Commander fans will be happy to know that you can now recruit mega-hero Luke Skywalker and the evil Darth Vader to lead your troops in battle. This is a nice step up from the Wookie/Dark Storm Trooper troops and other character troops you can send. The only catch is, you have to have a Level 8 HQ after you’ve fought mercenaries on Er’Kit with either character, depending on whether you’re a member of the Rebellion or the Empire. New Hero features! Deploy Luke Skywalker and Darth Vader in battle, then activate their special abilities to deal an extra blow to enemies. New units available at HQ8: Jetpack Trooper and AT-TE (Rebel), Jump Trooper and AT-DP (Empire)! 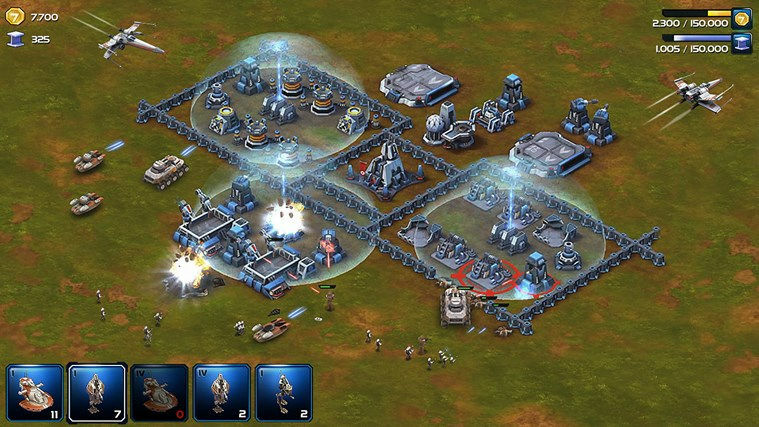 Defense missions now have randomized enemy spawn directions—fortify your base! New opportunities to unlock rewards from past campaigns through the Campaign Store! Download the new and improved Star Wars Commander via the QR code above or from the Windows Store. Are you a member of the Rebellion or the Empire?